For an informative day where you can bring pictures and measurements of your own gardens and apply Fiona's suggestions to your situation using practical examples. Each one day courses covers a different topic relating to aspects of garden design. ‘Introduction to Garden Design‘ is a theory based course on the basic building blocks used to develop your garden design. 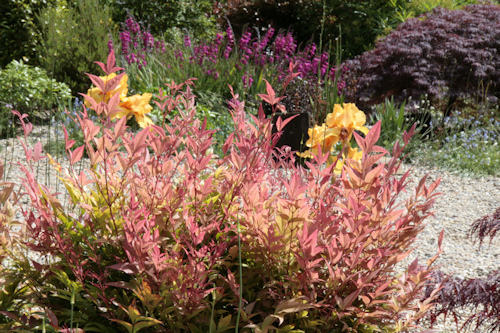 ‘Planting for all Year Colour’, ‘The Scented Garden’, & ‘Planting for Autumn Colour’ focus towards plants themselves, incorporating design principles to maximise results. Our 1 day courses are ideal for those who have an interest in gardening and want to improve their own gardens. 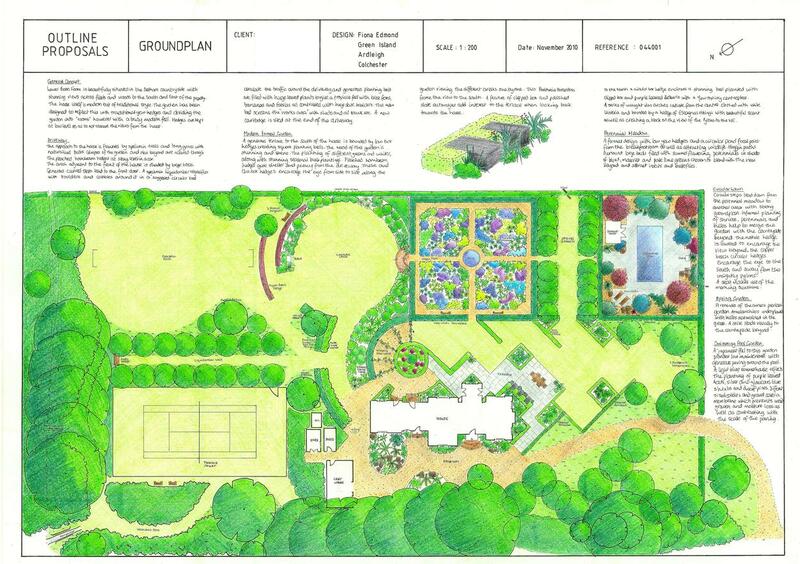 Compact course covering all aspects of garden design from start to finish, including survey, design process, drawing outline proposals and planting. Fiona will lead you through all that you need to know to give your garden life and colour all year round. Covering all seasons, Fiona will have a list of plants that allow you to enjoy your garden 365 days a year. If the fragrance of your garden brings a smile to your face this is the course for you. This course covers all the wonderful and unique plants that bring scent into your garden and home all year round. including survey, design process, drawing outline proposals and planting. will have your garden glowing right through to Christmas and beyond. Courses start 10.45am with a cup of tea/coffee and finish at 4pm. Lunch is an one hour break where students are welcome to explore Green Island Gardens. The 6 Week Garden Design Course is a great way to achieve a beautifully designed and planted garden without having to hire a professional. The course will run for 6 Monday evenings, and each week Fiona will cover a different aspect of the garden design process, from the initial survey, to inspiration, history of garden design, outline proposals, hard landscaping and planting as well as graphic drawing skills. We share with you the practices and tricks that professionals use to greatly improve your garden design. Each week a certain amount of homework is assigned, taking what has been discussed during the class and applying it to your own garden, while this is not mandatory it will ensure maximum benefits from the course. At the end of the 6 weeks you will have created a design tailored to your garden, ready to be implemented to create your own little piece of paradise. This course is ideal for those who have a keen interest in gardening and want to improve their own gardens without the time and expense of employing a professional garden designer. Green Island Gardens reserves the right to cancel or postpone classes should the required minimum attendance levels not be met; in these circumstances an alternate date or full refund will be offered to purchaser. Miss a course in 2019?